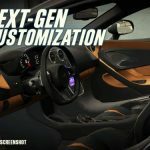 NaturalMotion Games has finally released the long-awaited follow-up to CSR Racing and CSR Classics, and it’s simply called CSR Racing 2. With a new user interface, improved graphics, and lots and lots of new features, this game promises to be better than the last two, and reviews have been very encouraging so far. Once again, you’ll be striving to be the top street racer on the block, taking out rival crews and collecting more cars, upgrading the ones you have in order to win more races. As usual, the game comes with loads of licensed, real-world cars, from a simple, ostensibly unimpressive Mini Cooper to a blazing-fast McLaren P1, among others. 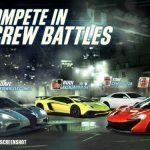 You can also win rare parts and rare cars, as well as join crews (this game’s equivalent of clans) and take part in crew missions and races. 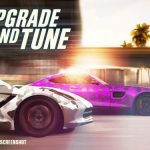 Those who have played CSR Racing or CSR Classics will probably have a basic idea of what to do, but take it from us – even veterans of those two older games might need some help finding their way around in the new game. So join us as we present to you our first CSR Racing 2 strategy guide, where we shall begin by showing you some tips for newbies. Compared to the nameless Agent from previous CSR games, Jess the mechanic is far more helpful in CSR 2. Therefore, you’ll want to pay closer attention to what she’s telling you, as the game wants to do its part by offering its own tips and how-tos for certain facets of the game. At one point in the tutorials, she will force you to take on one of the crew members in the first tier, and while you will definitely lose that race, that’s okay – it’s merely the game’s way of teaching you about upgrades, and how you can’t win without them. But before we move on to upgrades, let’s talk about what you should do when racing in CSR 2. One mechanic (the game feature/characteristic, not the pretty lady who offers you tips) that remains from the earlier CSR titles is the importance of making a perfect start, and making perfect shifts. This could spell the difference between winning a close race against a similar or better opponent, and losing said race and having to waste your gas in the process. You want to start your car while the needle is ticking within the small green space on the odometer, and do the same when you’re shifting; that way, you can ensure yourself of a perfect start. Don’t go too far beyond the green area when starting, as that leads to wheelspin, and don’t go too far away from it, as that’s going to give you a slow start. Likewise, avoid early or late shifts, and keep those eyes on the green area at all times. One thing we’ve noticed about CSR 2 is that it’s very generous when giving out free stuff, especially if you play the game every day or plan to do that. Turn your phone’s notifications on so that you know when CSR 2 has a free reward for you, ready to claim – this could be cash or coins, or it could even be in the form of a new, rare car! On the left menu on your screen, you will see a list of quests, or missions, you have to complete, with the reward listed below the description. You may, for example, be asked to win so many races in a certain mode, make so many perfect shifts, or spend so much cash. It will all depend on the mission, but in any case, we advise you to check this section regularly and let it guide you as much as the main story does; that means playing the game with a focus on completing your assigned missions. Completing missions can earn you cash or gold, so finish as many of them as possible in a day! Typically, it’s the more expensive upgrades at a level that improve your car the most, but in general, your upgrades should be done all-around – your eventual goal, after all, is to level your ride up to Level 5 in all areas. Start with an engine or transmission upgrade, for instance, then move on to the cheaper ones and, if possible, finish out an upgrade level before going up to the next. And don’t upgrade your engine at the expense of your tires, e.g. Level 3 engine, Level 1 tires. Such a combination increases the chances of wheelspin, which, if you’re a CSR veteran, you know as one of the main reasons you may have lost those races. There are various types of races in this game, but the one you’ll want to focus on the most is the ladder race. That’s a series of 20- to 30-plus races where you face a progressively tougher opponent, and the higher you climb up the ladder, the more cash (and gold, during the last few ladder races) you can win. You want to earn money quickly to afford those upgrades, so work on the race type that gives you the best balance of ease in completion and lucrative earnings. Unable to buy a part that will help you win in the ladder race? Or are you unable to afford getting a new part so you can smoke ‘em at the next crew race in storyline mode? That’s when you could try your luck at the regulation races, which can be very easy, but not that financially-rewarding at all, considering the cost of upgrades. Still, the regulation race wins could add up, and you can always go back to that mode and grind it on out if you’re short of in-game currency. That’s all for now, as far as our list of tips and tricks for CSR Racing 2 is concerned. But stay tuned, as we are planning to share plenty of more hints for the game in the near future! When I do live races in upper levels why does other car get to leave before me??? With T2 cars and upwards you need to time your launch on the count down as Well giving the game another aspect, you will need to balance the revs for perfect launch as well as hit the launch button moments before GO!! anyone can solve this please. ?